I approach the tomb of the forbidden subject and share my thoughts about whether Jon Anderson should be in Yes at the moment. Is Yes actually Yes without Anderson? Should we forget about the current members? Will we ever see Anderson back in the band? I’m going to do something I’ve never done before. .I’m going to leave my comment before listening to the episode. This is one time when I feel very strong about the subject matter that I don’t need to listen. Personally I don’t think Jon Anderson should return and I really hope he doesn’t go back to Yes. Yes has battled negative press and comments about member changes for years now and finally I think they are at a point where the “replacements” are finally comfortable and Yes fans are finally more excepting of things. Also no offense but Yes needs to be a touring band in order to keep themselves in the people’s minds…especially new fans. And we know that Jon Anderson is in no shape to do any lengthy touring. In fact that’s one of my main concerns with Anderson/Ponty. ..I have a bad feeling that it won’t be as long a tour as they think. Now don’t get me wrong I love Jon Anderson and the classic Yes albums are my favorite prog albums of all time. But I must admit I’ve really taken to Jon Davison and his singing. Also with Billy being in the band now..i think they are in great shape for the future. Also I believe with Billy in the band the next studio album will be much better then Heaven and Earth. .he is a great producer and killer prog song writter. I think the future is fine without Mr . Anderson. Yes in good shape- that’s definitely true. Thanks for the comment! It does make sense that Mark wrote. Still, it is a speculation that Jon would not be able to do the full tour. Maybe he could. Some old fans and some new fans might be comfortable with Jon Davison (I am not even interested in him and in Yes with him), but the majority considers Anderson the ‘official’ singer of Yes as long as he is alive. Squire: his replacement with Bill was the best fit and was an obvious choice. And it is fully legitim, because unfortunatelly we lost Chris. But Jon is around and his voice is still there, and it was the essence of the band’s sound, and one of the most important elements of their music. Davison is a great singer, but Anderson has a unique quality no one else does. 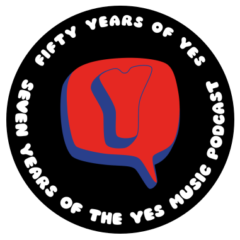 Yes’s music simply misses it. I hope one day I will see the band together again. Thank you, Kevin. You have summarized my views on this issue completely. Yes, I would love to see Jon Anderson with Yes again. No, I don’t think it likely to happen. Yes are still great, and can continue to evolve. Those that feel otherwise can console themselves with decades of good music already recorded. Thanks Jamie, it’s great to hear you are thinking similar things! 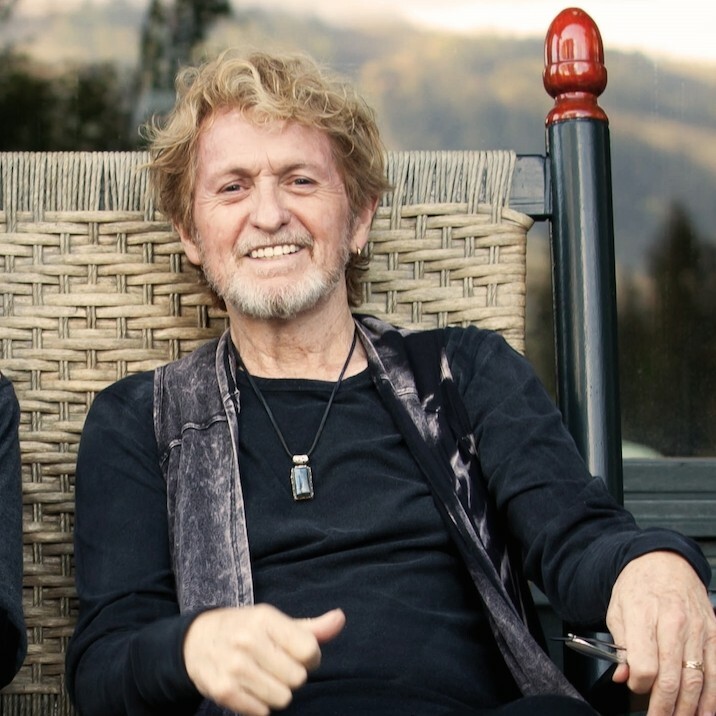 I love Jon Anderson’s voice, and the contributions he made to Yes are in calculable. Along with Ian Gillan, Freddie Mercury, and Robert Plant, he is one of select few voices which defined the classic rock genre. I think it would be awesome if Jon returned to the Yes fold for some one offs. Perhaps a cruise. Part time at a residency in Vegas, London , or NY where he comes on nights he feels good, and JD takes a break. Something like that. But to take the reins, and be THE Yes front man again? It just doesn’t work. It doesn’t work on a health and stamina basis for one thing. So no. As a full, travelling member, I don’t think so. What about open membership for Yes? Iv’e often wondered about this. What if all living members who are in good health and feeling up to it, and have something they want to contribute or do, be invited to go out on tours, (or at least some groups of dates), split tours. Anyone can show up for recording etc. If you’ve been in Yes, you still are. All of them. From JA to Tom Brislin. 5 – 8 of them on any given tour, (which could then be virtually perpetual), or coming and going from a residency. And ALL welcome to come by the studio with ideas and to lad down tracks. Just need another guitarist in the mix. I’s suggest Jimmy Haun, for when Steve needs a breat, or Trevor is making a movie. Yes indeed, it’s the future! Oh Steve! How jaw-dropping would that be! Let’s get everyone back!! I believe there must be some personality conflicts within the band that have prevented Jon’s return to the band. Who they involve I do not know. I would love to see Anderson back but at this point with the friendships that have built up would the band be willing to drop Davison? I also believe we must consider the financial angle. Perhaps the band is content with the crowds they are drawing and the money they are making. At this point in their career even with Anderson I don’t believe that they would be playing significantly larger venues. Also, both bands have tours booked into 2016. And again I must say that I would love to see Anderson back. I just hope enough water has passed beneath the bridge. Yes I agree that Jon Davison has cemented his place. Thanks Chris. Well I must say it is obvious that you have struck a nerve of sorts with this edition of the YMP. That being said I think this is what Yes and Yes fans live for. Its the great debate for Yes fans across the globe. Right wrong or indifferent it is what it is and as anyone who has been a fan of Yes will always love them in what ever configuration they are in. However I believe that the Jon Anderson days as lead singer of Yes was and has been over since he fell ill. I feel there is and will always be some sort of bad blood between the members for that. Jon is and always will be Yes he was way more than a singer in a prog rock band he was a natural born leader with new ideas in a time and an era that by some say has past. I guess I’m guilty of not seeing the band with out Jon at he helm.Do I still love Yes of course always, do I think JD is the new lead singer for this band with out a doubt. Thanks Paul. It was a very therapeutic episode to record! As you know I really enjoyed hearing Jon Davison live. He is doing a great job and Billy is following his lead. How the APB tour goes will really tell us what Jon Anderson is still capable of as a lead singer/frontman on an extended tour. As much as I would love to see him with Yes again, I don’t think it will work on a permanent basis. He has worked so hard to recover for his illnesses and to re-establish himself as a singer and songwriter. He has moved on, but will always be “The Voice of Yes” (that’s what it says on my ticket stub from a solo show! ).